I met Austrian artist Alfredo Barsuglia half a decade ago while working as the Director of Marketing for the Palm Springs Art Museum. A mutual European artist friend of ours had made the introduction and we were enjoying some catch up time at my desk in the confines of non-profit, art world America while he and his fiancée told me of their recent travels. It was a memorable experience to be sitting in my office, neon lit even in the afternoon, and to hear this soft spoken, gentle and hyper intelligent man tell me about his latest project involving the manufacture of faux dental tools with a sexual connotation for his series Oral Hygiene. I loved that he was exploring the vanity industry and likening it to fetishism in our society. He gifted me with one of these faux tools—one of those plastic rings you affix to a tube of toothpaste and then proceed to glide down its length as you use up the contents in a semi-masturbatory fashion with the goal of maintaining your pearly whites. We’ve kept in touch over the years, and I have enjoyed watching the evolution of his work. Of particular favorite was an extension of this beauty obsession work called Oderfla Beauty Resort—a site specific installation while he was in residency in Joshua Tree of said resort that had become nothing but a ghost house buried up to its midsection in sand and dust. I thought it to be a poignant piece surrounding beauty, transience, illusion and society. I was extremely delighted to open my Los Angeles Times arts section this past month to find his latest project Social Pool pulling him into the well-deserved spotlight of the contemporary art scene in Los Angeles. 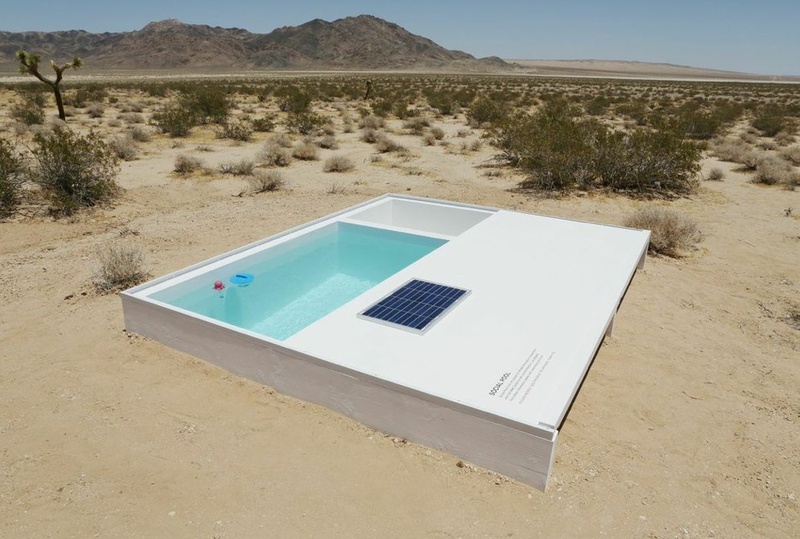 Another site specific installation, Social Pool consists of an actual miniature pool situated smack dab into the middle of the nowhere in the Mohave desert. Built in cooperation with the MAK Center for Art and Architecture in Los Angeles, the pool sits covered until someone visits it after having picked up a key and GPS coordinates from the MAK Center. The viewer, after a long drive, and a walk off the beaten path, discovers the pool and may then decide how to interact with it within the allotted 24-hour time frame. The humor, social commentary, and perhaps irony of the piece becomes apparent in many ways depending upon how people choose to see it. For some people it is a getaway outside the constraints of their daily lives in which they are hungering for some rest and relaxation, in other words—to float with a book in a pool in the silence of sand and tumbleweeds with no one to bother them. This temporary stepping out of their routine in order to find peace wrapped in a contemporary art project seems strange and laborious considering the effort it produces and perhaps instigates contemplation of quality of life, value of time and priorities. When traveling to the piece, one has an opportunity to consider what exactly it is they are doing just for the sake of art, which can produce feelings of meaningfulness within a society so hooked upon the teat of social media and non-stop technology. For others, it is simply inclusion within a luxury experience or a “cool club” –to travel and partake of art for no other reason then desire and to find a quenching pool of water to welcome them at the end. Finally, it could be construed as a blaring microscope on the fact that Californians own pools for the convenience of leisure and entertainment in their own backyards in the midst of great drought. I recently caught up with Barsuglia and asked him about this particular work. As an Austrian artist, what originally informed your connection to Southern California and the desert? The MAK – Museum of Applied Arts / Contemporary Art is one of the biggest museums in Vienna with several locations in Vienna, Austria and abroad, such as the MAK Center in Los Angeles. I first visited California after being awarded a spot in the MAK-Schindler Artists and Architects in Residence Program in Los Angeles in 2006. Since then I have frequently come back to visit and have fallen for the Southern California desert. I love the wideness of the landscape. I love the openness of the people. I love the light, the quietude, and the climate. I love the area and the open space; the infinity of the landscape opens your mind. Coming from Austria/Europe where it is so mountainous, the flattened scenery in California becomes breathtaking. It influences your work and thoughts. This area gives you a new understanding of space and time. What was the original inspiration for Social Pool and how did it come to be? Each project leads to another, each work generates new ideas, and my work develops continuously. Within the last few years I have done several public art projects where the visitors were invited to take part and to interact. So Social Pool was conceived of my previous works like Hotel Publik in Austria during the winter of 2013-14 or before that, the Oderfla Beauty Resort in Yucca Valley in 2008. For me, Social Pool blurs the line between a utilitarian, useful thing, an art installation, and a social experiment. Can you speak to the project’s relationship to those things, insofar as you envisioned them? Art always reflects society; it’s a mirror of the current time. Our society changes rapidly. For example, most of us don’t stay with one job for our whole life, but shift from one job to the next. Borders between professions blur; everything seems to be possible. So why shouldn’t art combine different fields, too? By merging different disciplines or media, you can create new perspectives. Social Pool has a lot of components: the pool (status symbol), the water (luxury good), the way to the pool (to reflect on yourself: why am I making the effort to see the site? ), the restrictions (24 hours of time limited with the key, secrecy), and the title of the project itself as a conceptual input (Why “SOCIAL” Pool?). On one hand, it’s called “social” because I guess people visit the pool, not alone, but in (small) groups — and while you’re stuck together with these people/friends, you will have time to reflect, or at least to ask yourself and discuss the reason why you make this effort to travel so far to find this little water pool. You might start to reflect on our current society, and the capitalistic system, where advertisement gives us a clear idea about how important it is to reach luxury goods, for which you have to work hard (because most of them are expensive, forcing you to work, and thereby boosting the economy). In our society where, for most people, all our daily needs (food, drinking water, housing, health) are met, luxury goods become important to position yourself in a social hierarchy. Luxury goods are illusions, created in our mind, not by our body — and we try to reach these luxury goods by working and boosting the economy. Luxury goods are status symbols, like pools, (big) cars, vacations, jewelry, art, athletic bodies (including painful aesthetic surgeries) — everything that is expensive, but not important to survive. How was the location for Social Pool chosen? The location of the pool had to be in a very remote area with no community nearby and no infrastructure, only nature, where a man-made sculpture would pop out, like an alien species. It should be unexpected. Tell me about the creation of Social Pool? What was the process like? What did you personally experience while making it? At first people thought it would be crazy to build a pool in the middle of the desert. Especially because everything had to be organized from Europe, where I live. But when I had received the first part of my funding and the Theodor Koerner Art Award from the City of Vienna, I was sure I would be able to realize the piece. Nevertheless without my dear desert friends Ruth and Steven Rieman I would have never been able to realize the whole project. They helped me a lot, as well as Robert Ortiz from All Seasons Fireplaces Pools and Spas. 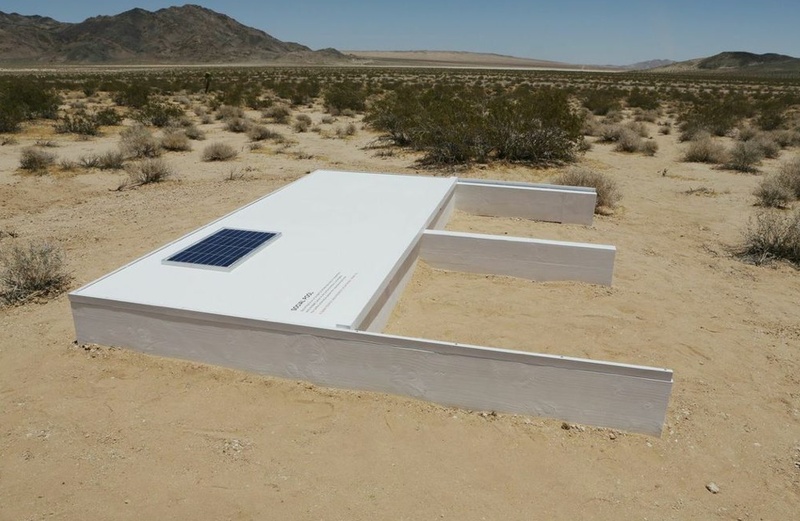 Many other people were involved in the project: designer and curator Peter Noever, artist Andrea Zittel, artist Ed Ruscha, MAK Center Director Kimberli Meyer, curatorial assistant at MoMA New York Stephanie Weber and many others. It was great and important to have such a fantastic backup. The work on site was tough but I guess everyone can imagine how difficult it is to build a pool in the middle of the desert, without any infrastructure; the heat, the wind, the dirt, the clay… twice we got stuck in the sand with a truck/car. The pool was a high-end fabrication, although I had to keep the costs low – that was difficult. What, if anything, do you hope people will take away from Social Pool as a piece? Social Pool is not didactic. So it’s hard to say. There are people who have visited the pool, others who have read about it or discussed the meaning of it. Everyone will have his own point of view about. There isn’t only one way to read the project’s idea. Social Pool polarizes. If you make a pubic art project, your influence stops after the opening reception. In advance you cannot know how people will react to it: if they will like it, or hate it, or even make the effort to visit the site. The participants give the project meaning. If nobody participates, than that means something, too. What are some of the surprising things that you have discovered in the reactions of people to social pool that you may or may not have expected? That there are so many people interested in visiting the site and that they would spare no effort to reach the pool. Because of this, we had to change the way people received the key and the GPS coordinates from “first come, first serve” to an online reservation system. At the very end of July and beginning of August the MAK Center got complaints from neighbors because every day people arrived very early in the morning (6am) to be the first to get the key. Some people were camping out in the driveway of the MAK Center all night to get the key, and understandably the neighbors were pissed. The MAK Center told me: “Since we can’t prevent people from doing things when we are not around, and will not be hiring a security guard to monitor the situation, maybe we need to think about going back to the idea of reservations.” If we hadn’t modified the way to get to the key, we would have had to shut down the project. What has the reception been so far? Among visitors and critics? Do you feel like you’ve achieved making the statement you set out to make? The participants (and there are daily visitors to the pool) are overwhelmed and very positive about the project. It’s very interesting to read the comments on various blogs. I really think people are very much into it, because there are so many layers to talk about, and there are so many different opinions. Art is always about communication. It can open new perspectives that you might not have thought about before. I’m very happy that Social Pool gives space to discuss art, status symbols, society, politics, physical needs, dreams, fiction versus reality. There are actually thousands of comments online. There is a huge media response worldwide. One of the videos on YouTube has 160,000 views; —the response is enormous and amazing! As an artist, what are the key things you like to explore and have explored over time? I like to reach and to get over the limits of my imagination and thoughts. To create ideas I haven’t thought of before. That’s creativity, that’s what interests me. Alfredo Barsuglia born in 1980 in Graz, Austria and currently lives and works in Vienna, Austria. His works have been shown, among others, in MUMOK (Vienna), Leopold Museum (Vienna), MAK Center (Los Angeles, USA), Mestrovic Pavilion (Zagreb, Croatia), MACRO (Rome, Italy), CAFA Art Museum (Beijing, China) and at the 4th Moscow Biennale (Russia). Barsuglia was a MAK-Schindler Artist in Residence in Los Angeles in 2006 as well as a Joshua Tree Highlands (USA) Artist in Residence in 2008. He received the Art Award of the City of Graz in 2007 and the Theodor Koerner Art Award of the City of Vienna in 2013. In 2014 he received the Foreign Studio Scholarship of the Austrian Federal Ministry of Culture and Arts for Rome. Between 2009 and 2011 Barsuglia was invited as a guest critic at Pratt Institute (New York). 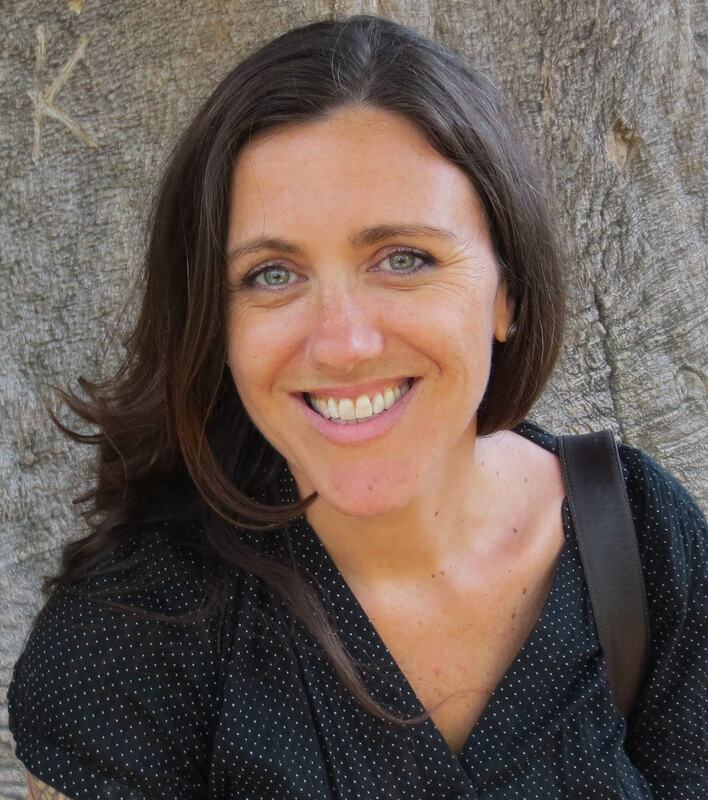 Newtopia Editor Kimberly Nichols is an artist, writer, social anthropologist and healing facilitator living in Los Angeles, California. Her conceptual works, literary fiction and creative nonfiction have been exhibited and published internationally. She is the author of the critically acclaimed collection of short stories Mad Anatomy (Del Sol Press, 2005) and is currently working on her second book. She is the owner of Tapping the Inner Palette, a company which utilizes the intuitive, spiritual, creative and healing arts to help people rediscover the inherent voice within as well as bring their authentic selves to fruition. She can be reached at Kimberly@newtopiamagazine.org.